I’m enamoured with Caroline Hwang’s work. She seamlessly (no pun intended) blends illustration and embroidery. Her amazing prints are available in the Shiny Squirrel shop (mine are too). 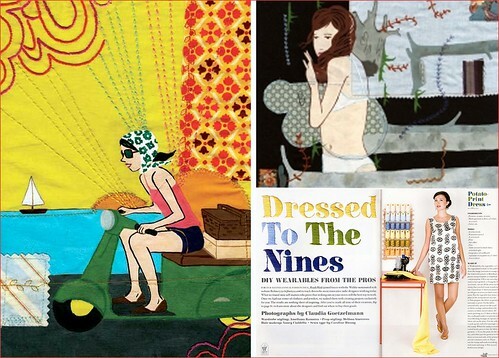 Above is just a tiny sample of some of my favorite Caroline Hwang pieces.